Our booth: Hall 2, F132. 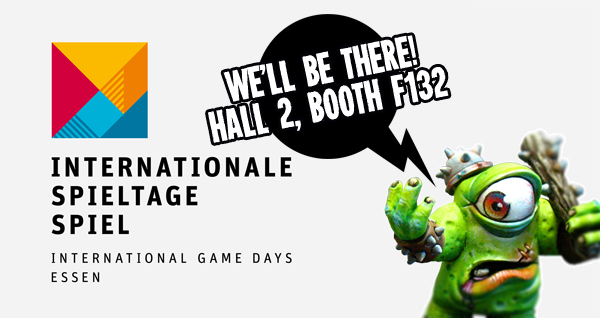 For those of you who are lucky enough to be at the Essen Spiel event this year, you’ll be able to meet us in person, see the studio painted miniatures, play demos of Da Clash! and check our new releases. There will be special prices and even exclusivities! So do not hesitate to pass by our booth!